BREAKING: Could THIS be Scaramucci’s Replacement? Rumor has it that Kellyanne Conway is at the front of the line to take Anthony Scaramucci’s place. She is a logical choice and the best one for the job I believe. She was instrumental in getting President Trump’s message out during the election and as Campaign Manager, played a huge part in him winning the race. She would bring the same savvy to this position as Communications Director. White House sources are now leaking this out. So much for the Mooch solving that problem. The only one he solved was getting rid of Priebus and it could be argued that was already in the works. Scaramucci lasted all of ten days. Long enough to get the job, get a divorce, have a kid, get Priebus fired and then lose his job. He was then escorted off the grounds. They say Chief of Staff John Kelly wanted him gone and I’m sure that’s true. Now everyone will go through Kelly. But… why was Anthony having dinner at the Trump Hotel just hours later with former Trump spokesperson Katrina Pierson? There’s a lot of questions here that need to be answered. But whether they are or not, Conway is the person for the job. She should have taken the position from the beginning. Could Kellyanne Conway be the next White House Communications Director? The current counselor to President Trump could be Anthony Scaramucci‘s replacement, a White House source told The Daily Caller. Supporters of both Trump and Conway have been calling for the move since before the election win. It seems like an obvious perfect fit and no doubt a game-changing chess move for an administration in turmoil. After only 10 days in the position, Scaramucci was fired Monday following an expletive-filled interview that White House Press Secretary Sarah Huckabee Sanders said Trump found inappropriate. The outgoing communications director insulted then-chief of staff Reince Priebus and current chief strategist Steve Bannon in that profanity-laden interview. 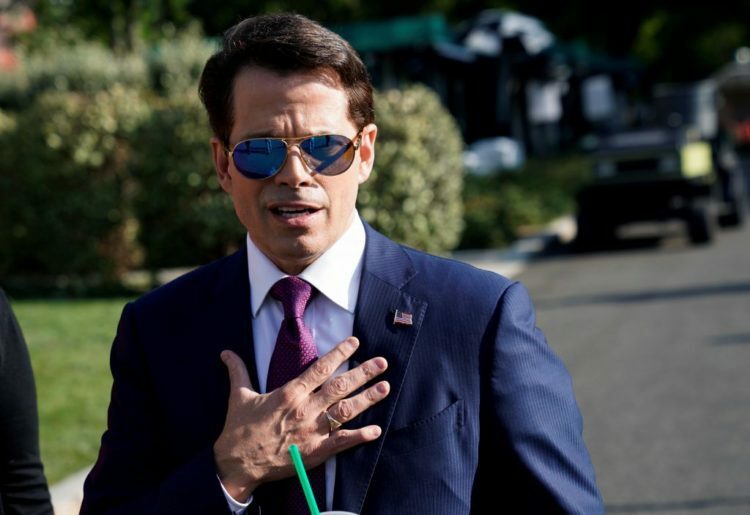 Scaramucci later tweeted that he “made a mistake in trusting in a reporter” after unloading on the New Yorker’s Ryan Lizza about White House leaks. Conway, who has continued to be a visible face of the administration after serving as Trump’s campaign manager, did not respond to a request for comment from the Daily Caller. If anyone can tame the chaos in the White House, it’s Chief of Staff Kelly, followed closely by Kellyanne Conway. Neither suffer fools very well. President Trump’s supporters would be happy to see her slip into the roll. She is currently not commenting on the possibility which makes it even more likely that the rumor is true. Conway is fearless with the media. She has gone toe to toe with all of the talking heads out there and skewers them on a regular basis. She’s a tigress and is one of the most influential and powerful women in DC these days. Kellyanne will bring stability and professionalism to the White House. And I’m sure that Kelly will approve her buttoned down, no-nonsense approach.